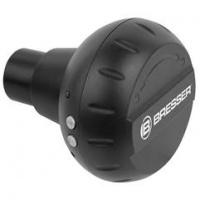 The Bresser WIFI Camera 1.3MP 1.25" is a fully wireless astronomical camera system, designed to image the Moon, Sun (with appropriate filtration) and brighter planets. 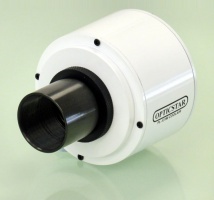 The PX-35C is the ideal entry level colour planetary CCD camera with high sensitivity. The PX-75C is also well suited for Lunar and Solar imaging. The new and improved PX-126C camera. The same specs as the PX-125C but with improved software and drivers. The PX-126C is the ideal colour video and single frame camera that combines high frame rates with high sensitivity and a built-in ST4 auto-guide port. 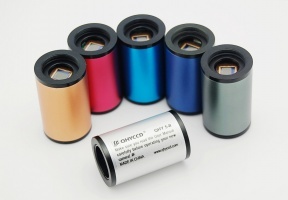 The NEW USB3.0 version ZWO ASI120MC-S is an excellent choice for an affordable planetary camera or deep sky one shot colour camera for those who has just started in astro photography, but cannot spend a fortune on a specialist astro photography camera or want to replace a modified webcam or a cheaper planetary imager. The NEW ZWO ASI120MM MINI or ASI120MINI is an excellent choice for an affordable planetary and deep sky camera for those who have just started in astro photography. The GPCAMAR0130C is an all-in-one General Purpose astronomy camera with a 1.2mpx COLOUR CMOS AR0130 sensor. 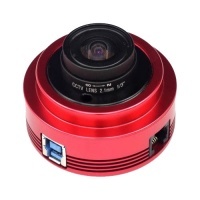 Features the Aptina AR0132 CMOS imaging sensor, a state-of-the-art chip used by imaging companies worldwide. View and capture live video of the Sun, Moon, and planets on your computer. The PL-131M CoolAir fan-cooled camera offers exceptional performance and versatility easily outperforming cameras costing considerably more. 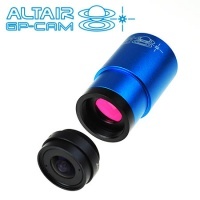 The camera excels as a planetary (Solar and Lunar) camera with frame rates of up to 220fps.